IRS Tax Form 2290: Depends on the Gross Weight and mileage limit of the vehicle, one can decide what’s best for their vehicle to File Form 2290. Here, we mentioned the clear details about the 2290 Truck Tax. The below reasons shows the importance of IRS E File with Form 2290. If your heavy vehicle gross weight is 55,000 pounds or more then you must File IRS Form 2290 Online. Any vehicle registered on your name, then you need to Pay 2290 Tax. If you started your vehicle on the public highways in this month then you have to file IRS 2290 Online by the next month end. 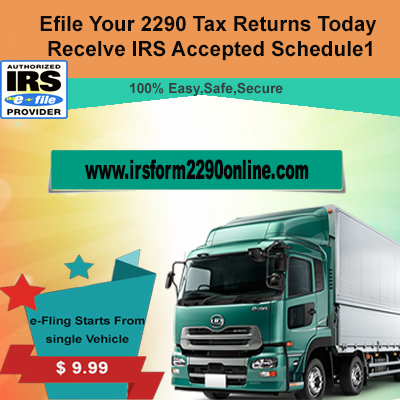 You must pay IRS File Taxes with Efile 2290 by the end date of the August for the current Tax Period. The vehicle which crosses the mileage limit of 5,000 miles or 7,500 miles for agriculture vehicles then they need to be registered with an IRS by using 2290 Tax Form. Also, you have to pay Heavy Vehicle Use Tax for the mileage exceeded vehicles. File 2290 Online for suspended vehicles and pay Heavy Highway Use Tax if their mileage limit exceeded then the given limit. File and Pay HVUT 2290 for the vehicles whose gross weight increases later times and falls into a new category. With the help of IRS 2290 Online Form, you can report suspension from tax to the IRS when your heavy vehicle used less than 5,000 miles. You can also claim a credit for the tax paid on the vehicles which are destroyed, sold, or stolen or used less than 5,000 miles or more. If you buy a used truck, report that vehicle with an IRS. If any tax is due for this tax year on that truck then E File Form 2290 and pay the Heavy Highway Tax. As you are a filer, you can File Form 2290 Online to pay Heavy Use Tax. For the vehicles, which are used on public highways in this month need to File 2290 Online by the next month end. The vehicles which are running first time on the public highways need to File with an IRS by IRS Tax Form 2290. If the vehicles do not file by the next month end then you may pay the penalty to an IRS. Therefore, Efile Form 2290 within the time and not impose to pay penalty or interest. If the IRS Form 2290 Due Date falls on Saturday or Sunday then the tax Heavy Vehicle Use Tax Return must be filed by the next business day. Now you can see simple steps to File & Pay 2290 Tax Online. Follow these steps and within minutes you can complete Form 2290 Online Filing. Follow IRS Form 2290 Instructions for better filing experience. 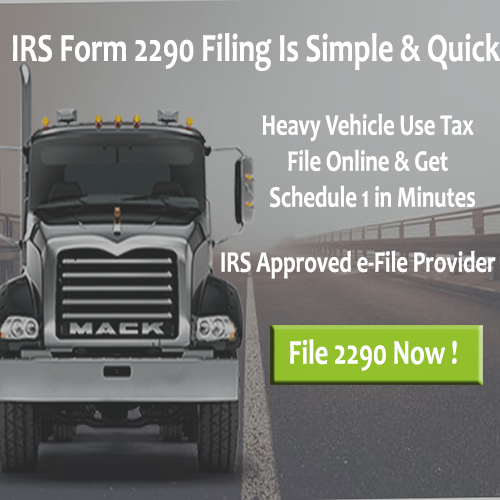 One must File 2290 Heavy Highway Tax Form in an online for the easy, fast and secure process. Filing 2290 Online help you to finish your 2290 Filing within minutes without any hesitation. 1. Gather the required information. 2. Enter Business and Vehicle Information. 3. Audit and Submit Form 2290. 4. Receive IRS Schedule 1. You can pay 2290 Tax Online exactly along with little service tax within five minutes. To make filers Tax Payment easy, an IRS provided four different Payment methods. Pay 2290 with Credit Card or Debit Card, EFTPS, EFW, and also with Check or Money Order. As the latest update from an IRS, one can pay their 2290 Heavy Highway Tax with Credit or Debit Card. The easy and Secure process to File and Pay 2290 Online. You can simply enter your card details and finish your 2290 Online. IRS 2290 Pay Online with the Electronic Funds Withdrawal Payment Option needs bank account details. An IRS can deduct the amount from your bank account. You need to mention the exact details of your bank account. The bank account and routing number are mandatory to deduct the amount from your bank account. Pay your Federal Heavy Vehicle Use Tax through EFTPS account. One can create a free account with an IRS to pay 2290 Tax Online. The account creation takes 10 business days. Therefore, create your EFTPS account early before the Form 2290 Deadline. You need to take a print out of 2290-V and mail it to the IRS Office Address. Mention, your name, Address, EIN, and date of your Payment. 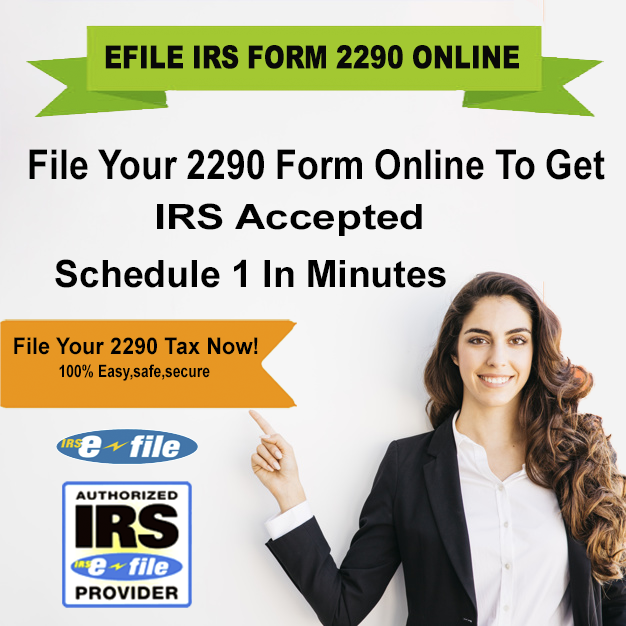 Call Us @ (316) 869-0948 today to File IRS Form 2290 Online.